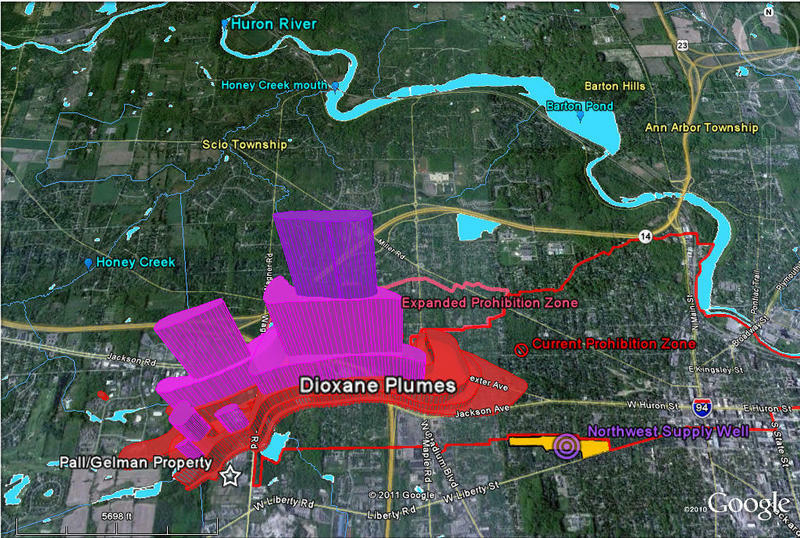 Map shows the extent of the underground 1,4 dioxane plume under Ann Arbor. A lawsuit to force a cleanup of Ann Arbor's contaminated water appears to have set a new precedent. The judge allowed a watershed advocacy group to become one of the plaintiffs. That's despite both the polluter and the state attorney general arguing against it. The Huron River Watershed Council says no one in the lawsuit was advocating for the river itself, including aquatic life and the risk to people swimming, fishing and boating. A plume of groundwater contaminated with 1,4 dioxane has been moving in all directions near Ann Arbor since it was first discovered 28 years ago. The City of Ann Arbor and Washtenaw County are also joining the lawsuit against the polluter. 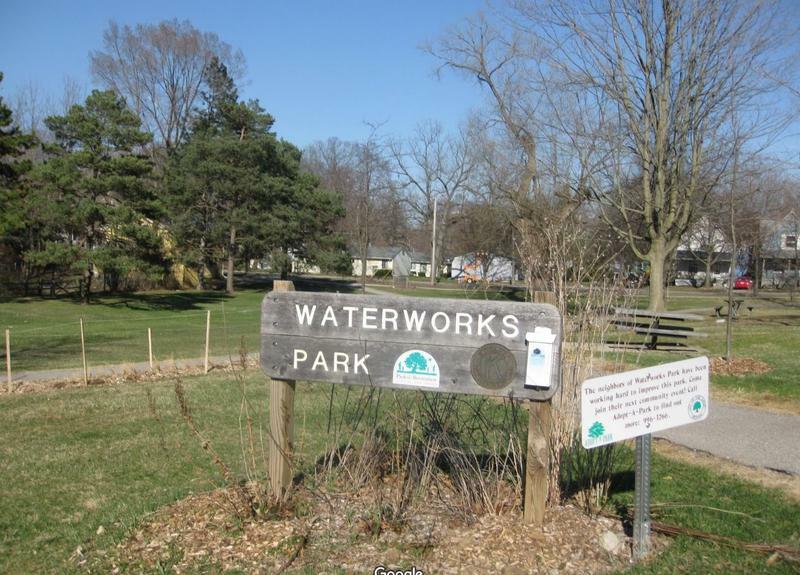 Executive Director of the Huron River Watershed Council Laura Rubin says the city will represent concerns about groundwater contamination and the county's focus will be well water contamination. “But we feel the interests of the river are at risk and that nobody's representing those,” she says. 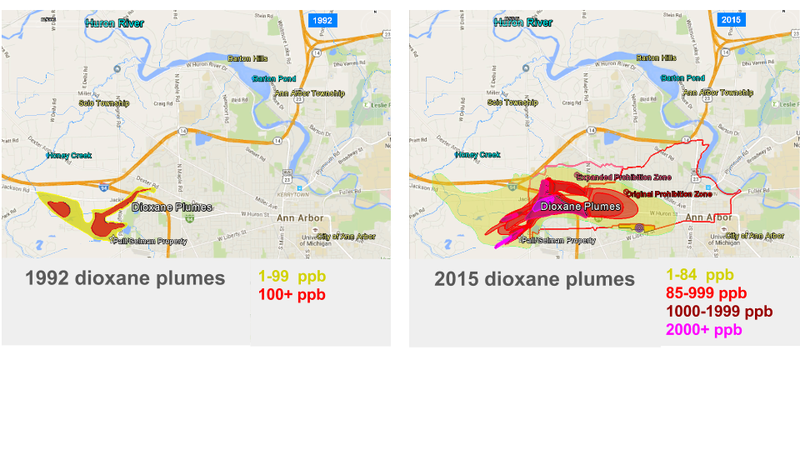 A plume of water contaminated with 1,4 dioxane is slowly spreading in all directions in Ann Arbor. Rubin says the dioxane could harm fish and other aquatic life, as well as people, if it gets into streams or the Huron River. The Ann Arbor City Council wants to intervene in a lawsuit over groundwater contamination in and around the city. The Council unanimously passed a resolution at a special meeting Tuesday night to direct city officials to seek permission from the court to intervene in the case. The state Department of Environmental Quality has issued an emergency rule establishing a stricter cleanup criteria for 1,4 dioxane, a highly carcinogenic chemical that has polluted Ann Arbor's groundwater for decades. 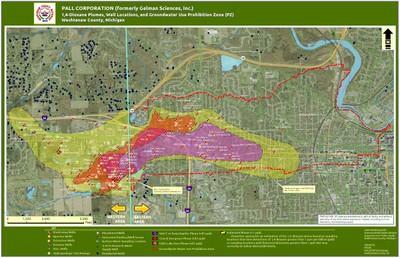 The plume of contaminated water has been slowly moving in all directions, including towards the Huron River. It's feared that eventually the contamination could reach Barton Pond, the source of the city's drinking water. After waiting three years for the state to issue a stricter cleanup standard for the carcinogen 1,4 dioxane, Ann Arbor Township and Scio Township are done. The two townships, along with the Sierra Club of Huron Valley, will jointly file a petition next month requesting the U.S. Environmental Protection Agency to conduct a preliminary assessment for a plume of contaminated groundwater to become a federal Superfund site.